In recent weeks, I've seen several people link on social media to a blog post entitled Why Hymns Are Better. Strangely, the post was written nearly two years ago, but it looks like it's been enjoying a resurgence of late. 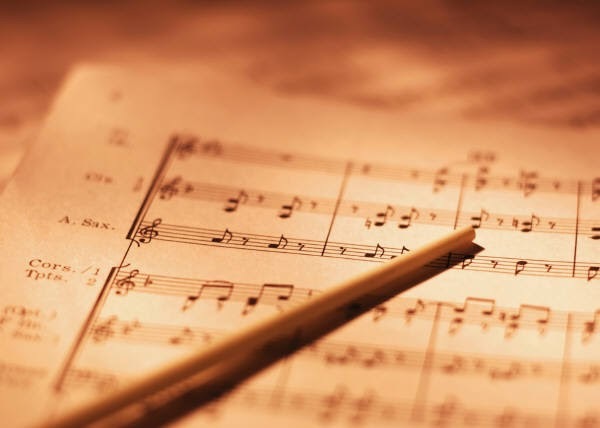 The post delineates some of the typical reasons I've heard over the years for hymns' superiority over and against "contemporary" worship, or praise music: according to him, hymns are higher quality musically, lyrically, and theologically. It also includes a critique of using screens rather than physical books or printed words that include the notes, which is more of a marginal issue than central, but a certain amount of touting traditional "high church" worship in general over and against recent modern innovations commonly associated with casual "low church" forms is to be expected in these cases. Also woven in is a discussion of the highbrow intellectually-stimulating nature of hymns vs. the emotion-driven nature of praise music, as if these qualities are dichotomous. Basically, it's been my experience in the past decade-plus that those who love traditional worship and hymns also love, love, LOVE to deride praise music. It doesn't matter how far the latter genre has come in recent times, it doesn't matter how well some praise songs strive to meet the near-unattainable expectations of its critics. For some, praise music will always be inferior. One could set a Walter Brueggemann book to guitar chords, including four-part vocal harmony and an optional line for strings, and it still wouldn't be good enough. That's just how it is for those who occupy certain trenches within the worship wars. It is here that I could simply say, "some people just prefer certain things," hit the Post button, and move on. But the post linked above has inspired me to push back a little. I don't want to write this as a direct response to that other essay so much as a reaction to it as one of many familiar lists of grievances that people have with worship genres besides The Almighty Hymn. I'm not even going to outright defend all praise music, as I myself acknowledge that there is certainly truth to the concerns raised by the other post regarding some, not all, songs in that genre. There are, I believe, several valid arguments in favor of contemporary worship music, and there are higher quality incarnations of that classification if you're willing to do a little searching. So I hope to highlight those arguments and incarnations here. Or, if nothing else, I'll end up listing several reasons why maybe hymn absolutists should chill out a little. First, a quick preface to identify where I'm coming from and why this issue tends to rile me up. I was raised in UCC churches that strictly sang hymns. I grew up with hymns and I came to recognize and treasure many of them as a result. This was the 1980s and early 90s when praise music was still becoming established and many churches were still considering whether or how to start a second, separate service featuring this style of worship. It was the mid-90s when I first heard songs like "Lord I Lift Your Name on High" and "As the Deer," staples of a worship style largely foreign and, at first, uncomfortable to me. I saw the hand-waving, the eyes closed, the strange unfamiliar music (WITH DRUMS), and one of my first thoughts was, "I've never seen people act like this in church before." I'd grown up a member of the Frozen Chosen, and was unsure of this radically different style for multiple reasons. Hanging out with friends more evangelical in background than myself, which resulted in further exposure to this worship style, helped me relax and appreciate it more. As a drummer, I was excited at the prospect of even helping lead this kind of worship. It was similar in nature to what I listened to outside of a church context, so doing so made sense. I played in a worship band both in a local UMC church and for one of the campus ministry groups through most of college as well, and have many fond memories associated with these experiences, including several crucial milestones in my faith journey. So when the HYMNS ONLY crowd starts ripping on praise music, I can on the one hand acknowledge certain critiques as valid, but there's also an emotional response--in part fueled by these memories--that makes me at least a little defensive. We'll start where the other article starts. I'll discuss musical, lyrical, and theological aspects of this issue, and then add a fourth: emotional. The main critique of praise songs from a musical standpoint is that many of them feature the same 3-4 chords and are in the same key and time signature. They also each have a familiar sequence of verse, chorus, verse, chorus, bridge, chorus. Two things about this critique. First, praise songs reflect the musical structure they borrow from. Seeing as how "contemporary" worship music takes its cues more from popular forms heard on the radio, it will result in a similar format. In other words, praise songs are cut from the same cloth as genres of music that have been around at least since the early part of the 20th century. The structure has been around and it has seen some things, and many people outside the church seem to like it just fine. Second, let's look at the much more complex structure of a typical hymn: verse, verse, verse, verse, amen. Now here, the argument probably shifts to the particular musical composition of a hymn over and against a praise song. How impressive is it, after all, that this one hymn is in 9/8 time and has five flats? Or this other hymn that is in 12/8 and has four sharps? That may be of interest to the music majors in the room, but any song that is meant to be sung by a large group should be concerned with one single question above all others: Will people be able to sing it? The theology and lyrics? Fine. The tune? In my experience, anyway, it's incredibly difficult for a congregation to sing. There are these eighth notes and triplets that meander all over the staff without a clear meter to most of it. No problem for people who can read music and keep up, but for everyone else? You may end up singing a solo if this one gets chosen. Sure, the more musically astute will be incredibly impressed by the key changes and complex signature of some of these sorts of hymns, but if the tune is still indecipherable for the congregation after multiple verses, you need to get over what impresses you personally and pick something that people will be able to learn. Now here is perhaps where we lament the use of screens without musical notation in worship and congregations becoming less musically literate. My question is, how musically literate were we as a culture to begin with? Sure, some may be able to pick up on newer songs by seeing the notes, but I'm not sure that it's a great assumption to make that the reason many church members know most hymns is because they can read music. The more likely reason is that they've heard it so many times that they now recognize the tune. How do you learn your favorite song on the radio? You hear it over and over and over again. How much should we really criticize praise music for being musically easy to learn? Shouldn't a key feature of corporately-sung music be user-friendliness? This, I think, is one of the places where critics of praise songs have more footing. The typical argument here is that the lyrics to praise songs are so simplistic and repetitive that the end product in many cases seems fairly shallow. Fundamentally speaking, a difference in musical style is going to result in a difference in lyrical style as well. As mentioned above, praise music takes its cues more from popular genres than sacred and classical ones, and what is possible lyrically is going to be different in each as well. But just as there is a lot of saccharine surface-level popular music out there, there is also a lot with artistic integrity and depth. In much the same way, well-crafted poetry, metaphor, and theology exists in praise music if you look to artists such as Christopher Grundy, Andra Moran, Sarah Kay, Son of Laughter, and Rob Leveridge. Keeping in mind that the structure of a praise song is fundamentally different from a hymn, what do we actually have here? In fairly short order, we have a celebration of our connection to and kinship with believers all over the world, as well as an acknowledgment by--even a reminder or challenge for--the singer that the worshipping community does or should include the same people whom Jesus calls us to notice and serve. Sure, it's expressed differently than it would be in a hymn, but the basic message is there. Here we have a song about God giving each of us a light, acknowledging the difficulty of letting it shine due to things like fear and differences, and God's call for us to move forward regardless. In many instances, you're likely going to have to look in places other than CCLI to find the deeper stuff, but it's out there, and in increasing abundance. The Lord is my shepherd, I shall not want.He makes me lie down in green pastures; he leads me beside still waters;he restores my soul. He leads me in right paths for his name’s sake.Even though I walk through the darkest valley, I fear no evil; for you are with me; your rod and your staff— they comfort me.You prepare a table before me in the presence of my enemies; you anoint my head with oil; my cup overflows.Surely goodness and mercy shall follow me all the days of my life, and I shall dwell in the house of the Lord my whole life long. Now, of course, this is Psalm 23, which is arguably the most recognizable passage in the entire Bible. And by the way, it was made into a hymn, conflicted voice and all. Many other psalms also switch from describing God to addressing God and back again. And up until around the time of the Reformation, psalms were pretty much the only lyrical pieces either chanted or sung during worship. But in this case, we can overlook the voice switch due to the poetry. The imagery is rich and comforting, which is why this is such a beloved psalm. There are many praise songs that lift their words right from scripture, especially the psalms. They just happen to be structured a little differently and may be played on guitar instead of organ. One of the most common criticisms of praise music is that it is so driven by emotions, supposedly over and against the rational, intellectual rigor of hymns. Name for me how many non-church songs you like primarily due to their intellectual rigor. When you attend a concert, are you looking forward to being mentally stimulated by the arguments put forth in the band's lyrics? When you sit down with a new album from your favorite artist, are you primarily propelled to your stereo or computer by the cornucopia of rational thought that they're about to unleash upon you? We're drawn to our favorite artists and songs due to the meaning and connection we've found with them. And in part it was due to the words, but it was because we could somehow hear our own experience in them and it caused us to react, not because we were able to judge them from some objective place and found them worthy. A combination of musical, lyrical, and emotional factors keep us listening. Ask yourself this: why, regardless of preferred worship style, do we bother with aesthetics of any kind? Why do we spend time crafting poetic prayers, arranging and practicing music so that we know each piece beyond the notes on the page, preparing sermons that include clever illustrations and carefully chosen turns of phrase? Why do we bother cleaning the sanctuary and decorating it according to certain seasons or events? It's because we're striving to create an experience that stimulates more than just our minds. It's because the beauty, tone, and mood of the worship moment is just as important to us as the theological points that we want to make. Worship is more than a cerebral experience. It's meant to engage the senses, the heart, the emotions as well. Ignatius of Loyola wrote quite a bit about what he called "interior movements," that is, the various movements within us that pull us closer to God or further away from God. Discerning the two isn't just an intellectual exercise. You pay attention to what you're feeling and why. Why did you react to a particular scripture passage or meditation in this way, and what might be behind that? Our emotions can be just as instructive as our thoughts. Likewise, our thoughts can be just as deceptive as our emotions, which has been the assumptive stigma on the latter when it tends to get brought up in worship-related debates. When it comes to singing in worship, it isn't just the words of the songs that move us. Some of our mainline traditions are incredibly in love with words, and in an argument like this the superiority of words tends to be the first shot fired in contemporary worship's direction. But do people find hymns moving for other reasons? Of course. It may be because they conjure old memories or because on a particular day the organist played the notes in just the right way, or the right hymn was played on the right day for the right person, and that became a lifeline for one's spirit in that moment. Just as one may hear a praise song like "Lord You Have My Heart" and have an emotional reaction, plenty of people hear "In the Garden" or "Be Still My Soul" and have the same feelings of comfort come over them. Why should one automatically be deemed better than the other? Should the experience of the one who finds "Did You Feel the Mountains Tremble" more majestic than "Joyful Joyful We Adore Thee" be dismissed or minimized because the former isn't from a pre-approved genre? The songs that cause interior movements for each of us are different. And make no mistake that the interior movements happen even for those who love hymns, even if one would rather appeal to other arguments for why they're better first. So I went ahead and shared it on Facebook, not thinking much of it other than that I could laugh with it and I knew others would, too. One friend didn't find it so amusing, and her response to it was (paraphrased), "This isn't funny. I find this style so much more moving. Traditional worship is like nails on a chalkboard to me." This brings me to one last thing worth mentioning. Some people flat out have no interest in connecting with hymns. They find the music dull and dirge-like. They are unimpressed by the carefully-crafted lyrics. They can't hear the magnificent theological point that you treasure because they can't get past the fact that it's being played too slowly on an instrument that they've otherwise only ever seen in their grandmother's living room. They don't have the same emotional connection as you do to a particular hymn. It isn't the same style of music that they listen to through the week and they're not really interested in making the "cultural commute," to steal a phrase from Nadia Bolz-Weber. In the face of this reality, we have a couple options. We can say something like, "Your loss, let me know when you acquire taste like me." We can do what many churches have tried to do in starting a separate service. But in an increasingly diverse culture where insisting on one musical form seems increasingly exclusive, small-minded, and unwise, it would be worthwhile to seek out the best of multiple worship forms and at least consider that they serve a need for some that hymns do not. There exist both duds and treasures across worship genres. There is an entire section of "fountain of blood" hymns in the hymnal I've been stuck with for the past decade; even though I find them theologically atrocious, I can look past them to find more suitable selections in that style. Surely those who cite the worst of praise music could stand to dig a little more to find the better options that exist (hint: I gave you a bunch of artists to start with earlier). All told, worship should include the best regardless of form. Congregations increasingly connect to a variety of styles, and it would serve us well to cultivate an awareness and appreciation for that, as appropriate to one's setting. This makes much more sense than blindly declaring one form superior, full stop, over another.